The Bushman Planetarium at Missouri Western State University will offer public showings of “Mystery of the Christmas Star” several times in December. The planetarium is located inside Agenstein Hall. 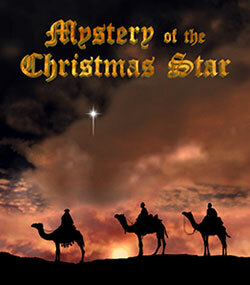 “Mystery of the Christmas Star” journeys back over 2,000 years to Bethlehem seeking to discover a scientific explanation for the star the wise men followed to find the baby Jesus. This modern retelling of the Christmas story is sure to charm and captivate audiences of all ages. “Mystery of the Christmas Star” will be shown at 7 p.m. on Monday, Dec. 3; Friday, Dec. 7; Tuesday, Dec. 11; Thursday, Dec. 13; and Wednesday, Dec. 19, and at 2 p.m. Sunday, Dec. 23. The Bushman Planetarium features a Digistar 4 projection system and a dome that is tilted slightly, rather than directly overhead, making viewing easier. A 17-channel stereo sound system enhances the viewing experience. Planetarium tickets must be purchased in advance, either online at missouriwestern.edu/planetarium or in person at Agenstein Hall, room 140 during regular business hours (8 a.m. to noon and 1 to 4:30 p.m. Monday through Friday). Tickets are $5 for adults, $3 for children, students, seniors and military.